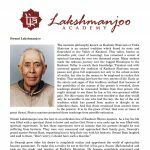 During his life Swami Lakshmanjoo organized and celebrated two major functions each year. 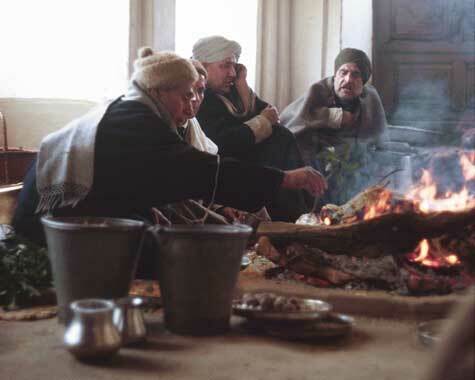 The most important event was a Havan, or fire ceremony, performed in memory of his Masters Mahasamadhi, i.e., the day his Master left this world and entered the abode of Shiva. This traditional Havan, was performed on a grand scale with Swamiji personally supervising every detail. The second yearly celebration was that of Swamiji’s birthday. Over a period of three days thousands of devotees and well wishers would come from India and abroad. In his humble Ashram all would enjoy the festivities, not to mention a sumptuous vegetarian meal, and a gift of prashad from Swamiji’s hand. The entire function was conducted at Swamiji’s own expense, and he would give all his devotees a small gift item, or a piece of cloth that he had worn or used personally. In keeping with this tradition the USF celebrates these functions twice a year, here in Los Angeles. 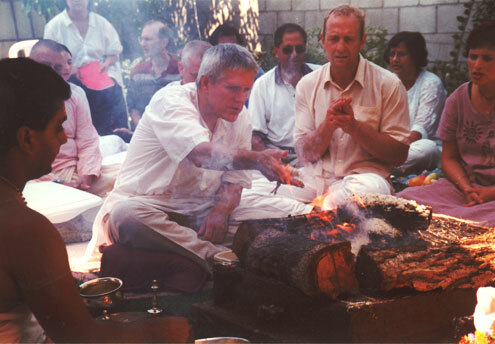 Once a year the USF organizes a Havan to commemorate Swami Lakshmanjoo’s Mahasamadhi. The date, although slightly different each year, generally falls in the month of September or October. Devotees come from all over to participate in this auspicious function. 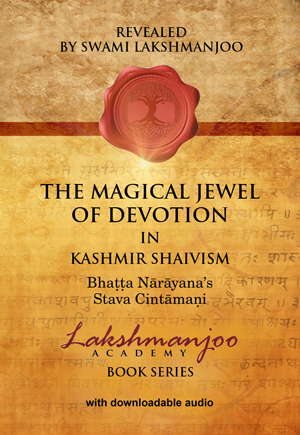 The performance of the Havan is accompanied by the recitation of traditional hymns from Kashmir Shaivism. Devotees perform puja, as taught by Swamiji, after which a wonderful vegetarian meal is served. Devotees enjoy live music, entertainment and a gift of prashad. See the calendar above for exact dates. View event details for more information. This celebration is open to all. Please RSVP: (310) 837 0402. In the summer of 1991 Swami Lakshmanjoo visited the United States. In his life, this was his first and only venture outside of India. In early May he outlined a short program for the celebration of his solar Birthday (9th May). Devotees had a wonderful day in Swamiji’s company. It was his expressed wish that in the future, in the US, his Birthday be celebrated on this day each year. In keeping with the program given by Swamiji, devotees gather in the morning to sing puja and other special hymns of Kashmir Shaivism. Lunch follows after which devotees enjoy an easy relaxed afternoon of music and stories of Swamiji’s life. View event details for more information. Following both the Mahasamadhi and Birthday celebrations, the Lakshmanjoo Academy organizes a four day fall retreat and spring retreat. 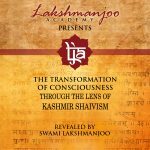 These retreats offer a wonderful opportunity to enjoy group meditation and also deepen ones understanding of the philosophy of Kashmir Shaivism as taught by Swami Lakshmanjoo. Each retreat has a specific theme covering one of the many aspects of Trika Shaiva philosophy. Please RSVP: 1 (310) 837-0402 prior to coming and to contact us for more details. Sundays: 11:30 AM – 1:00 PM. Group meditation (11:30-12:15), followed by recorded lecture of Swami Lakshmanjoo (12:20-1pm). The meeting closes with a friendly cup of Kashmiri Tea (Kahwa). For more information visit the events page. Please sign up to our newsletter to receive news and updates of events.